Samoan Language Week - Vaiaso o le Gagana Samoa celebrates the third most spoken language in New Zealand. In 2019, it starts on Sunday 26 May. Samoan is spoken by over 3,700 people1 in Christchurch. This page highlights Samoan language resources and links to this year's events at Christchurch City Libraries. Join us in celebrating Samoan Language Week. Polokalame eseese o lo’o tutupu ile Vaiaso O le Gagana Samoa. Learn about the origins, designs and importance of Samoan tatau (tattoo) by designing your own temporary Taulima (tattoo armband). Tatou fa’alogologo ma tepa i tua ile uiga moni ole Tatau fa’asamoa. A mae’a ona faia lea ose polokalame pu’upu’u lava, e fa’atinoina ai se taulima fa’asamoa mo oe lava. e faitau ma fa’alogologo i tala ole Vaiaso ole Gagana Samoa! Check website for dates, time and locations. news, music and videos online. E mana’omia lo outou susū mai tatou fa’ailoa fa’atasi le Gagana Samoa ma fa’ata’ita’i i le fa’aaogaina o le Komeputa. E a’o’aoina ai le su’eina o tala fou, musika ma nisi mea aoga mai Samoa i luga le upega tafa’ilagi. Join in the Faitaunga Tusi / Samoan Storytimes at Tūranga on the last Saturday of the month, 1pm to 1.30pm. Alofa and Filipo want to learn gagana Sāmoa so at bedtime they ask their parents how to say various things in the Sāmoan language. Count from 1 to 20 in Sāmoan and English. Introduces the Sāmoan words for different kinds of transport including cars, buses and space ships. Features beautifully illustrated vocabulary words, a pronunciation guide, and a glossary. Word categories include family, home, school, the body, opposites, numbers, nature, and time. Illustrations by Regina Meredith Malala bring terms to life. Bilingual reader about music festivals. A colourful, clear book of counting numbers in Sāmoan and English. 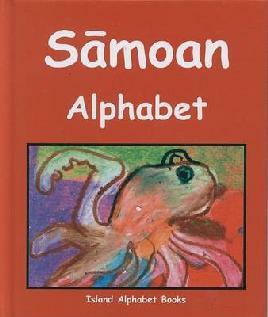 This book is part of the Island Alphabet Books series, which features languages and childrens’ artwork from the U.S.-affiliated Pacific. Each hardcover book contains the complete alphabet for the language, four or five examples for each letter, and a word list with English translations. 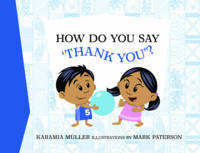 The series was co-published with Pacific Resources for Education and Learning, a non-profit corporation that works collaboratively with school systems to enhance education across the Pacific. Introduces children to the preparation of traditional Sāmoan foods. 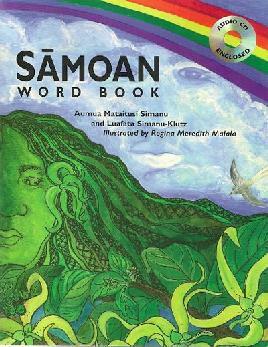 This book is a resource book of patterns from Sāmoa used on siapo and in weaving. These resources can be utilised as a starting point for drawing, painting and printing activities, using materials readily available in New Zealand. Download our Samoan Language Week colouring in page.